Landmark Experiments in Molecular Biology critically considers breakthrough experiments that have constituted major turning points in the birth and evolution of molecular biology. These experiments laid the foundations to molecular biology by uncovering the major players in the machinery of inheritance and biological information handling such as DNA, RNA, ribosomes, and proteins. 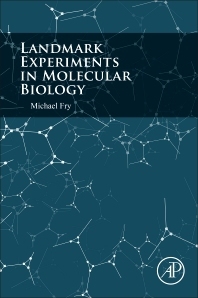 Landmark Experiments in Molecular Biology combines an historical survey of the development of ideas, theories, and profiles of leading scientists with detailed scientific and technical analysis. Researchers and graduate students in molecular biology, biochemistry, and cell biology, and those researching the history of science. 1.2 What Is Molecular Biology? 11.7 Postscript: Why Did Theory Fail to Predict Splicing?